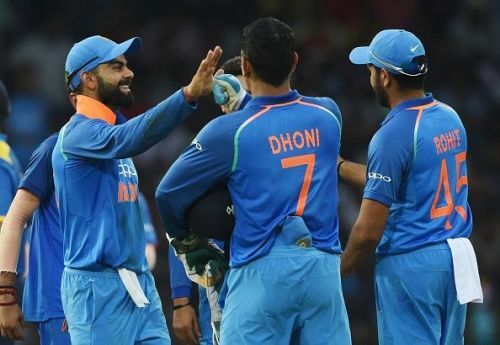 The BCCI has announced the squad for the first two ODIs of the upcoming ODI series against West Indies. The squad marks the return of regular skipper Virat Kohli, who skipped the Asia Cup that India won under the stand-in captaincy of Rohit Sharma. Rishabh Pant, who was not part of the ODI squad that toured the UAE for the Asia Cup, found a place along with first-choice limited-overs wicketkeeper Mahendra Singh Dhoni, and could make his ODI debut. He replaces Dinesh Karthik, who was the backup keeper during the Asia Cup that India clinched last month, for the seventh time overall. The bowling attack has a few changes to it - Bhuvneshwar Kumar and Jasprit Bumrah, two of India's most trusted white-ball pacers, have been rested, with the likes of Shardul Thakur and Khaleel Ahmed making the cut. Mohammed Shami, who last played an ODI in 2017 against Australia, has been recalled to the squad. Hardik Pandya and Kedar Jadhav, who injured themselves during the Asia Cup, have been left out of the squad. While Pandya had injured his back, Jadhav had suffered hamstring issues. Ravindra Jadeja, who returned to the ODI setup recently and also scored his maiden Test century in the ongoing series against the Windies, has found a place in the squad. Axar Patel, who had injured his index finger, was replaced in the Asia Cup squad by Jadeja, while Pandya had made way for Deepak Chahar. The ODI series begins with the first game at the Barsapara Stadium in Guwahati, on October 21. The five-match series ends with the ODI at Thiruvananthapuram on November 1.